Hopefully any decision to get a new roof for your home is based strictly on upgrading the particular type of roof to add aesthetic value to your home or because you are being proactive and replacing your roof because it is old and has done its job and you are trying to thwart roof damage due to age. Try to shy away from needing to contact a roofing contractor because you have a leaking or damaged roof, because hasty decisions are made that way. Replacing your roof is a rather costly venture, and, so before you take the plunge and embark on scoping out a roofing contractor in Orange County to get that job done, here are a few suggestions. Unless your roofing contractor is still in the biz and you found no fault with him, nor his work product, you will probably use his services again, or, why not check with family or friends for a referral? This is always the best way to go. These days it is very easy to scope out a roofing contractor and/or his company. You need only have internet access to be able to locate roofing contractors or companies in the area. Being an educated consumer involves just a few mouse clicks and knowing where to search on the internet. Luckily for you, most reputable roofers or roofing companies these days have websites where you can check out that contractor or companies’ credentials and areas of expertise. Here you can usually find out whether the contractor has a permanent office (with a permanent address and telephone number listing) and determine whether he has a regional or state license to do business. Often the roofer or company will be proud to offer references or photos of past customers’ projects. While this is good, you might want to ensure during your initial consult that these are valid customer names and these were actual roofing projects that were completed and that the website pictures are not merely stock photos. Your potential roofing contractor might even offer you contact information for past customers if you ask for it. Once armed with a few contractors’ names and/or roofing companies, you can vet them by determining if they belong to credible roofing associations and if they have had any unfavorable comments filed with the Better Business Bureau. At this point you will have surely whittled down your list of roofing contractor prospects to a handful, so now it is time for a telephone call to request a face-to-face consultation regarding your roof. As stated above, a roof is a major purchase and thus you should ensure that you are pleased with the contractor going into the project, and, that there will not be any hidden surprises before the project’s completion. Below is a list of suggested questions to ask a roofing contractor. Feel free to print them out and refer to them during the course of your initial meeting with the contractor. At the conclusion of your consult, if you are unsure about this contractor, do not hesitate to 1) go with your gut feeling; and 2) tell the contractor that you would like to have a little time to mull over the proposed contract and you will get back to him and/or the company. That will give you time to avoid making a hasty decision which you might regret later and/or to scope out other contractors. • Will I get a complete written proposal with a description of all work to be done? • What are the payment procedures? • When is the starting date? • What is the estimated date of completion? • How long is the warranty on the workmanship? • Do you carry liability insurance and have proof of same? • Do you carry workers compensation insurance and have proof of same? • Who will be supervising the installation? • Will there be someone on-site at all times with whom I may communicate with? • What quality-control procedures do you follow regarding the roofing materials? • How many workers will be required for this installation? • This will be a brand-new roof, not a re-shingled job, correct? • What is the cost of new plywood if you discover damaged wood or soft roof decking? • How will you protect my landscaping? • Will you use ladder stabilizers or standoffs to protect my gutters during my roof installation? • Do you bring a container for refuse material? Where will you store this container during the installation so it does not damage my driveway or property? 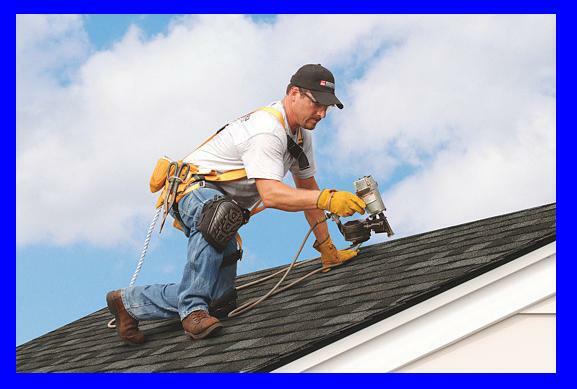 • How will you protect this roofing job in the event of inclement weather? • Will you haul my old roofing materials away? • Will you be able to make necessary repairs in the future should they become necessary or do you participate in the roofing installation only? • In the event of wind or storm damage to my shingles, to avoid mismatch issues, will I be able to purchase additional identical shingles at the time of the install, or do you carry them in stock all the time? If your meeting regarding your roofing project went well, and, if time permits, give a thorough read to the contract for services regarding the roof, as well as the warranty. While sometimes it is admirable to shop around until you get the lowest price available, be advised that you do not want to scrimp on any type of quality workmanship on your big investment in favor of saving a few bucks, because most likely you will regret your hasty decision down the road.